What can the Minority Affairs group do? A Groupsite for North Jersey American Chemical Society Minority Affairs Group has been set up, powered by CollectiveX and combining the best features of forums, calendars, email lists, and social networks. This site is a meeting place that provides members of North Jersey American Chemical Society Minority Affairs Group with a shared calendar, discussion forums, photo gallery, files and member profiles. To join, please sign up at http://NJACSMinorityAffairs.collectivex.com. The ACS Committee on Project SEED has announced the winners of its 2017–18 college scholarships. The recipients, who were selected from participants in ACS’s Project SEED research program, received one-year nonrenewable scholarships of up to $5,000 to help cover tuition and fees during their first year of college. The 27 scholarships for the 2017–18 academic year, which have a total value of $135,000, were funded by private corporations and individual donors. Additionally, three Project SEED alumni in their sophomore year received the three-year renewable Ciba Specialty Chemicals scholarship, which provides $5,000 per year. Project SEED is ACS’s summer research program that enables economically disadvantaged high school students to conduct hands-on research. For more information, visit www.acs.org/projectseed. Alfred Bader is one of the founders of Aldrich Chemical, now Sigma-Aldrich. The Baders have supported Project SEED for many years and contributed to the initiation of the Summer II SEED program. Camila Sierra Gutierrez graduated from Union City High School in New Jersey. Under the mentorship of Roman Voronov and Long Pham at New Jersey Institute of Technology in Newark, she conducted research titled “Simulation of Artificial Bone Tissue: Chemotaxis of Stem Cells in Microfluidic Devices.” She is majoring in chemical engineering at Hudson County Community College in Jersey City, N.J.
Nicole Taylor graduated from East Orange STEM Academy in New Jersey. She conducted research titled “Electrochemical Reduction of CO2 with Microwave-Enabled One-Pot Metal/Carbon Catalysts” under the mentorship of Huixin He at Rutgers University in Newark. She is majoring in chemical physics and physics at Rensselaer Polytechnic Institute in Troy, N.Y. 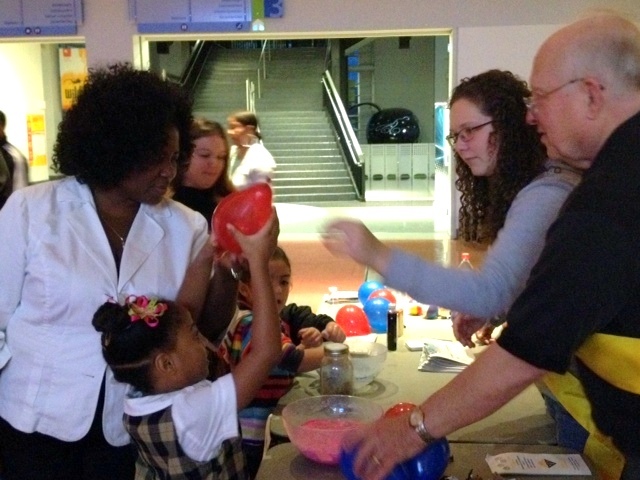 The Liberty Science Center (LSC) hosts students from various school districts. 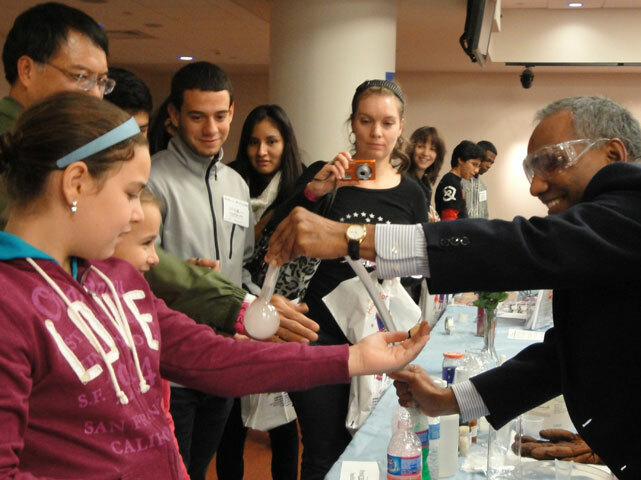 NJ-ACS Volunteers are needed to participate in hands-on demos. Please contact nojerseyacscma@gmail.com if you can help out.